Description: In this book, we'll take an interesting journey to answer these important questions. Not sure how to explain to others how Jesus plays a role in Christianity? 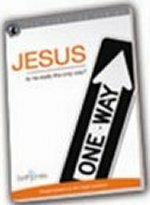 Is JESUS really the only way to God and Heaven? Many can't imagine God being so absolute and narrow-minded as to make Jesus the only door of entrance onto God's kingdom. Often this is because they don't really understand who Jesus is, what the point is, or why He came and their bias prevents them from listening. What about other religions? Isn't Christianity too intolerant and narrow-minded? What makes Jesus different from any other religious leaders? In our age of political correctness, these are timely and pressing concerns.